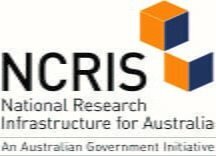 We anticipate discussion to address Australia’s capacity to engineer biology and may include concepts across the development pipeline such as a Genome Foundry, roboticised, high-throughput genomic engineering, associated software development, AI and -omics analytics. The discussion is not limited to applications across Health, Environment and Industrial Biotechnology. We would welcome and encourage your input. Please forward this invitation to your networks. Natalie Curach PhD, GCert Mgmt | Strategic Partnerships | Bioplatforms Australia Ltd.